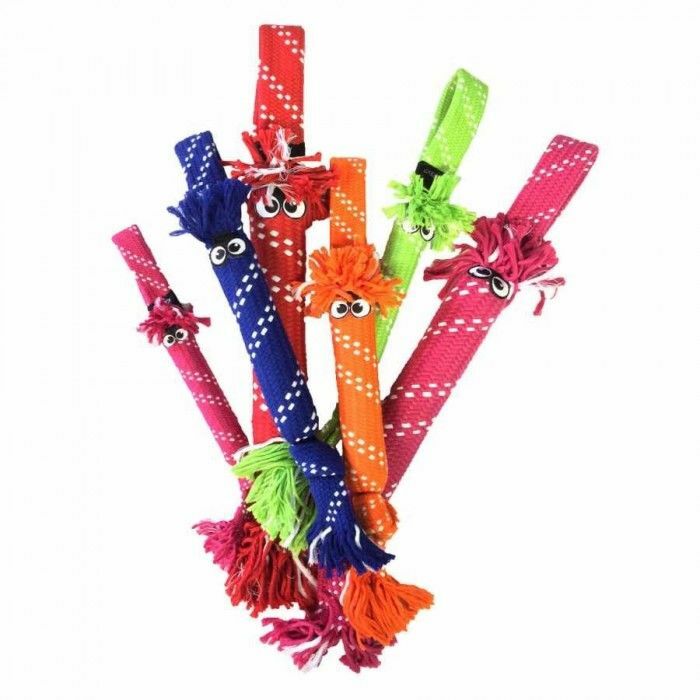 Rogzs interactive Scrubz toys are perfect for games of tug-o-war and fetch, with long strong handles that can stand up to a rough playtime. With a fun crackle sound on the inside, Scrubz will keep your dog entertained while the texture assists in cleaning their teeth. Certain colours not always available. We will do our best to supply the colour you want.